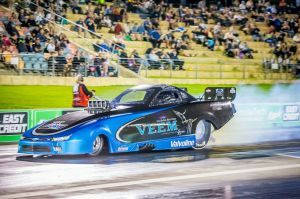 After a successful meeting at the 48th Annual Westernationals in March the WA Top Alcohol Teams will be bringing their high-powered Supercharged machines once again to the ANDRA Summit Sportsman Series Grand Final on April 6th & 7th. 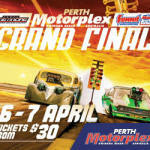 The Grand Final will see the teams return to show the fans at Perth Motorplex that WA Top Alcohol is on the map and here to stay. The Grand Final will see new comer Brodie Pilkington heading into the challenge, Pilkington has since taken over the reins from dad Rob. “Drag Racing runs in the blood, dad finally decided to let me have my shot a couple years ago, and after feeling the exhilarating rush to run a 5.96 I knew I was all in” said Brodie. 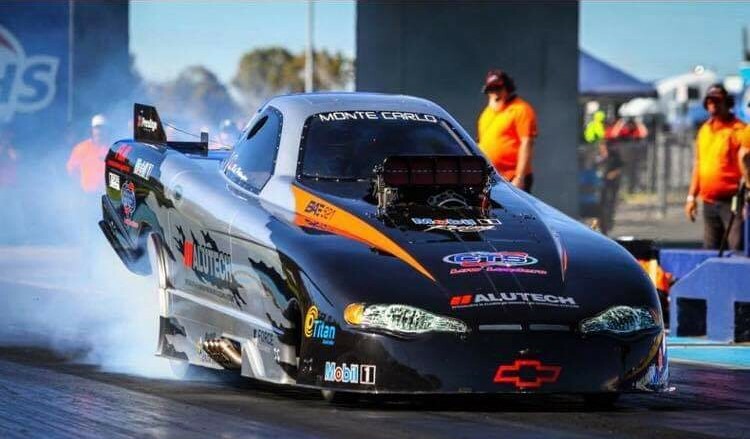 “After seeing what Glassby and Johnson did at the Westernationals for the WA Top Alcohol bracket, I think there is no time like the present to get back in the hot seat, after taking some time off over the last couple of seasons, I am ready to start fine tuning the car along with my driving abilities” Brodie added. 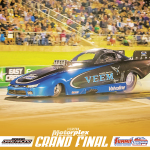 After his long-awaited return along with taking out the victory of best reaction time of a 0.012 at the Westernationals Aaron Deery will be putting it all on the line once again in his Hemi powered JPP Dragster. Deery had this to say about the Grand Final meeting “Following up the Westernationals victory I am heading out there with my eyes on the prize, I want to annihilate my opponent’s down the quarter mile and hopefully setting a new PB in the process”. Shane Weston will be sliding back into his sleek Weston Racing Dragster, Weston holds a PB of 5.47 at 256.8 3 mph. Hoping to take that a step further here’s what Weston had to say. “This meeting we are really hoping to go out there and collect some decent data to improve on our 5.58 in the new dragster, the team an I are really aiming to get the car running in consistent 50s. Everyone is out for blood at the Grand Final it will make for some good healthy competition, I think our fastest competition is Glassby”. The man to beat would be Craig Glassby in his Camaro Funny Car, Glassby is the fastest WA Top Alcohol racer with a 5.38 at 269mph. Nigel Johnson may have to sit the Grand Final out damaging the blower on the final pass at the Westernationals and upon dismantling discovered also snapping 2 rods. Whilst Johnson would strive to be ready in time, he will be setting his sights on the Winternationals in June. 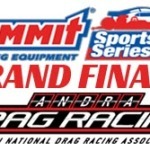 We will see Shane Weston (TA/D), Aaron Deery (TA/D), Brodie Pilkington (TA/FC) and Craig Glassby TA/FC) go head to head with 3 rounds Saturday and 2 rounds Sunday, don’t miss any of the Top Alcohol action plus 140+ Teams from all over Australia at the ANDRA Summit Series Grand Final. The two day event will start on Saturday 6th April with the Main show from 5pm and Sunday April 7th with racing from 10am til 5:00pm.